7 RANDOM THOUGHTS ABOUT THE HAMPTONS SUMMER ’16! One of the fun things about writing this blog is the fact it’s a blog. This isn’t done for any other reason than my own amusement. I can write thoughts and impressions on just about everything, except relatives. That being said, today I’m just jotting some really tangential thoughts about living on the east end. In no particular order of importance are my unrelated musings about my little part of the world this summer. Life in the fast lane……. traps and instead just looking for the next Range Rover to go by with an inexperienced driver texting like mad on the way to Tracy Anderson. Speaking of which…. 2) Wouldn’t it be great if they opened a Planet Fitness next to Tracy Anderson in Water Mill!? I don’t know why but I just find this idea so appealing. Come to think of it, let’s open a Ben and Jerry’s on the other side. 3) I’m over screaming children in restaurants…. when I was a kid, my parents would have killed (me) if I ran around and screamed in a public space. But then again, the only two restaurants my parents ever took me to were Rustler Steak House and Perkins Pancakes. Anyway, we digress. The bottom line is I’m not spending top dollar to eat out and have your kid scream in my ear! When my nieces and nephews were little and screaming, I wouldn’t go to do dinner with them so I’m sure as hell not having dinner with your kid! I know I sound cranky but whatever. I also want to say your kid isn’t that cute! 4) There is nothing better than taking a boat at twilight and heading to dinner. Especially when it’s someone else’s boat!!! 5) Is it really worth $100 for a pound of Lobster Salad? Season’s Greetings… it could be July 4th! 6) If you’re being honored by a particular charity and asked to make a speech, please make it about the charity and not about yourself. “I’m so busy but I find time… my personal assistant has been swamped…. my new shoes hur!” UGH! Really? Hamptons residents are very generous and love supporting the charities of their choice and…. squirrel… make sure to buy tickets for Gimme Shelter Animal Rescue benefit next week it’s a good one… also the LGBT Network’s Sunset on the Harbor….. but please don’t mistake my donation as an invitation to go on about YOU! 7) Finally, I was taught long ago you never go to someone’s house for dinner empty handed. I think it’s a nice practice. But for the love of g-d, if you’re going to re-gift the bottle of wine you received two weeks earlier at your dinner party take the old tag off. Oh, and by the way if I’m the one who brings said bottle back to your house, please don’t let everyone know! Maybe I didn’t like that cheap garbage you gave me!!! *yeah I know it should be they’re… I’m just getting even with the grammar police! Change, Change, Change…. or maybe not and your friend who got a $40,000 oceanfront rental is lying! The best steak place in town is still The Palm. Sushi is still free Thursday nights at Bamboo. The bagels at Hampton Bagels on North Main are still the best. The staff at Bagel Buoy in Sag Harbor is still nasty. The American Hotel still has a great Saturday night bar crowd. The lines at Walbaums in East Hampton are still way too long. Friday night at Almond is still a bad place for DWF’s to meet SWM’s but hey, it’s still fun! Howie at Paradise is still the best bar tender. Driving out on Friday night to the Hamptons can still take almost as much time as flying from NY to LA. Thank god we know Howie! I’ll still have to wait in line to get into Georgica. There are still no $40,000 oceanfront summer rentals in Bridgehampton despite what your friend’s friend is saying. The East Hampton police still hit the beach at 9:01a on weekends to ticket dog owners. You still need a mortgage to get a lunch at the Golden Pear. And finally… the donuts at Scoop Du Jour are still just as good as when they were Dresen’s. So stop your belly aching folks and just enjoy the summer!!! Finally… If you read this blog than you know about Russell my new terrorist… I mean dog. Anyway, he’s here thanks to the folks at Last Chance Animal Rescue Fund of the Hamptons. Russell is also a big martini drinker so it only makes sense that he and I attend the first annual “Martini’s for Mutts” to benefit the Last Chance Animal Rescue Fund, on Saturday, Aug. 29, from 5 p.m to 8 p.m. Yeah, I’m giving you plenty of advance notice. 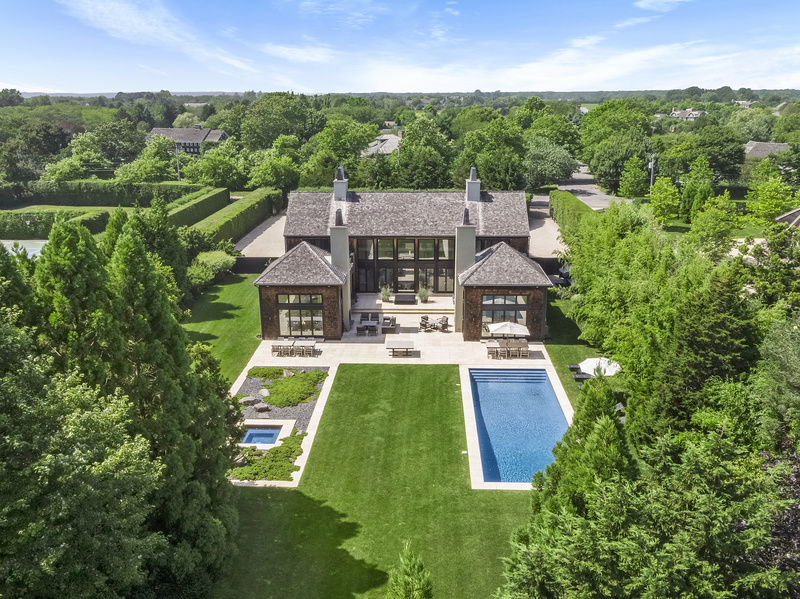 Enjoy an evening of poolside cocktails to benefit this most worthy cause at the home of Edward Montak and Michelle Neufeld, at 214 Toppings Path in Sagaponack. Last Chance Animal Rescue Fund is a charitable, not-for-profit organization, created to save the lives of animals. The organization states “We rescue animals that are located in “KILL” facilities and underwrite the costs of relocating them to “NO KILL” facilities in hopes of finding them a forever family. The minimum donation is $30. RSVP at neufeld.michelle@gmail.com.